I had the pleasure to guest post this week over at A Look at the Book, a great Bible resource blog for women. It is truly my heart’s passion to minister to women, specifically mothers, no matter where on the spectrum they lie. So the passage from the Bible I chose to elaborate on was Titus 2:3-5, in which Paul gives quite a hefty assignment for women…. In Titus, Paul is writing to the book’s namesake, a Greek representative to the island of Crete. The letter is a basic outline telling Titus how to do instruct church leaders and followers. Earlier in chapter one, Paul instructs Titus how to choose elders and warn against the trap that many Cretans, and frankly, all humans fall prey to. He opens chapter two with a list of what must be taught to various groups in the church. In verses three through five, he talks specifically about what should be taught to women. He encouraged the matriarch of these families to live in community, to do life together, and to model and mentor the younger adult and newer Christian women. We all learn in some ways by example and surrounding ourselves with high-caliber women, whom we can learn from and then opening ourselves up to pass that wisdom on to others, just like iron sharpens iron (Proverbs 27:17)…. Keep reading over at A Look at the Book! It was a pleasure having you guest author for our blog! Thank you so much for contributing such a good study to our Bible study resource!! Thanks, Ren, it was such an honor to contribute! Thank you for sharing. I am going to wander over to this site as I do not know about it. 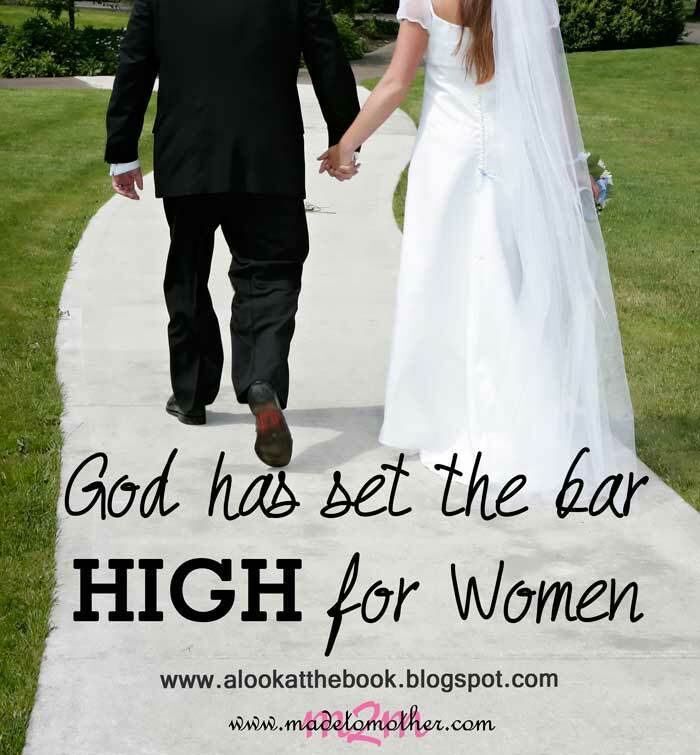 You are so right…we all…no matter our age…need “high-caliber women” around us. We are always learning. Visiting from A Field of Wild Flowers. Thanks for stopping by today and I hope you get some great Bible resources from visiting ALATB! Wow! No pressure on women right??? I love how you took apart the verses in Titus and gave a deeper understanding for all of us. I also love that I am one of those older women now I am very honored to mentor other women in their journeys as moms and also in their faith. Blessed as always that you shared this at The Weekend Brew. Thanks, Mary! Any woman would be truly blessed to have you as a mentor! Titus 2 is one of my favourite passages. Older women who are full of godly wisdom are desperately needed. I wish I had a godly mentor during my first years of marriage and when my kids were younger. However, that didn’t mean I had no godly wisdom given to me. I read some fantastic books, but mostly, I relied on the Bible, prayer and godly wisdom from the Father. It is an honour to be in the beginning stages of the ‘older woman’ and I take that role very seriously! I am reminded that sweet old ladies don’t just happen. They begin as a sweet young girl and mature into a sweet woman and finally become the sweet old lady God can still use to show by example their wisdom. Thank you for sharing with us here at Tell me a Story. So true! Thanks for reading and, as always, being so gracious with your link up. I love to participate each week! Thanks so much for sharing this. We as women have a great responsibility. I often wonder why some want to take over the role of the man. So true! I am happy to be just who God made me! Thanks for stopping by today, Trish! Great Bible Study! Thank you for sharing and I’m glad you had the blessing of contributing as a guest writer. Stopped by from the Equipping Godly Women Link Up. I loved this post and what it blessing it is to women. Thank you! I love the SHINE blog hop each week!